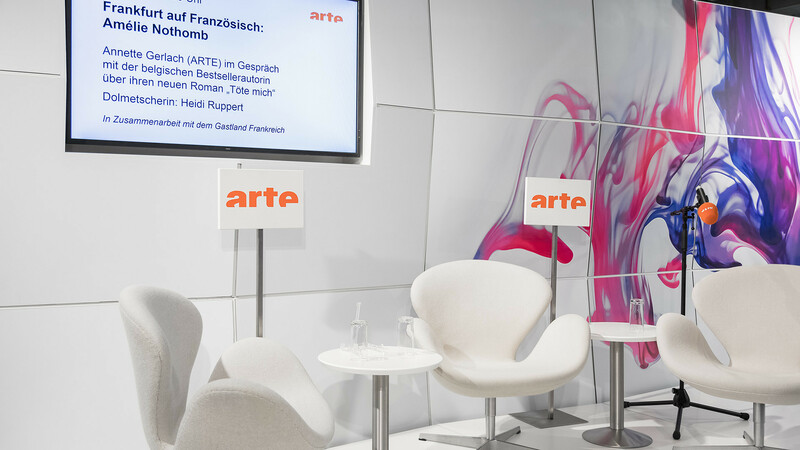 At the Frankfurt Book Fair 2017 the German-French TV channel Arte presents itself with its new, dynamic broadcast design. 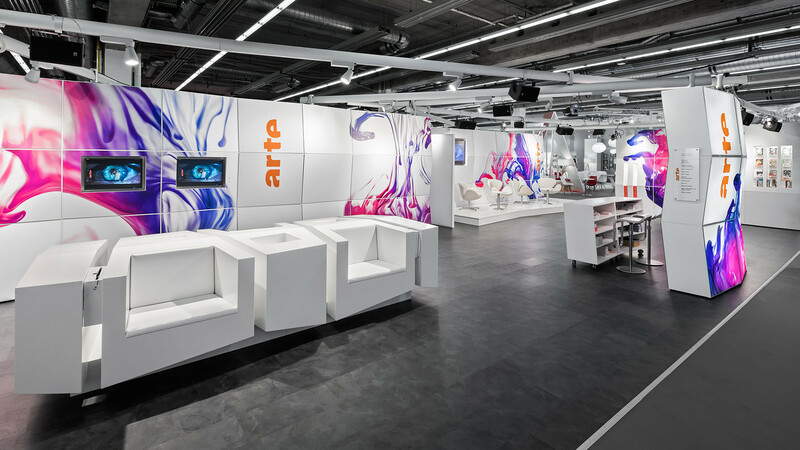 D’art Design Gruppe succeeds in impressively visualizing the motion of the television pictures in the 118 m² brand space. 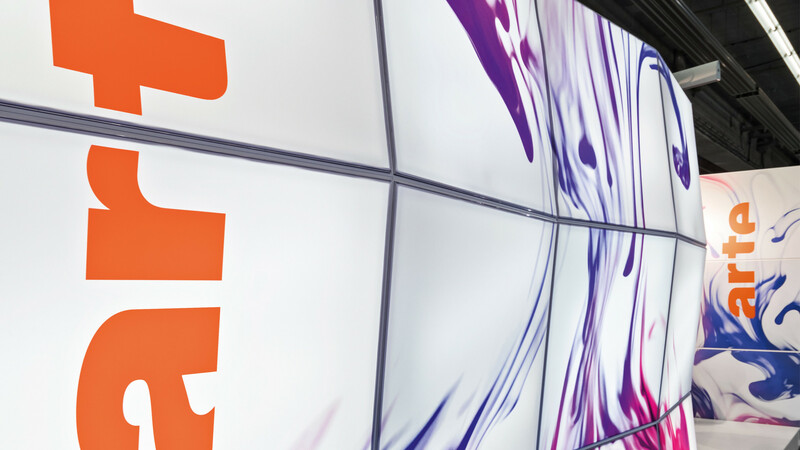 In short video clips, Arte stages itself in its program as a cultural magnet – forms and colours are being condensed into the „arte“ logo. Referring to one of these clips, the whole exhibition appearance gets new graphics. Still images of colour explosions of in water-poured, multi-coloured ink provide impulsive dynamics and vitality on the concave and convex-shaped module walls. 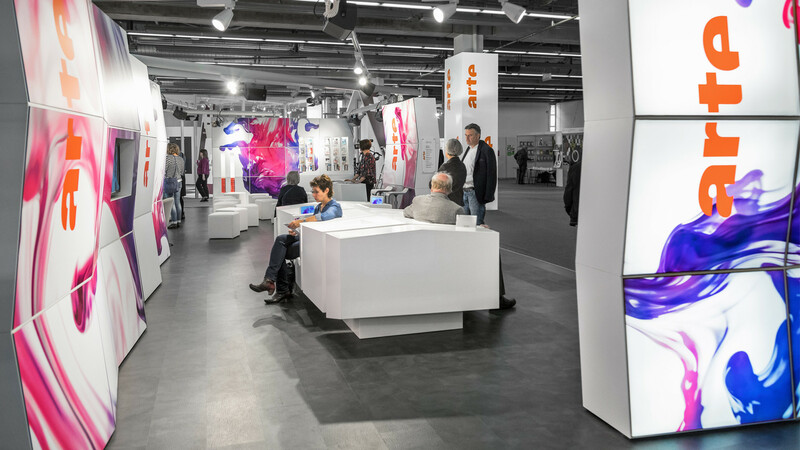 The stand design supports the goal of translating an excerpt from the Arte program into an analogue space. 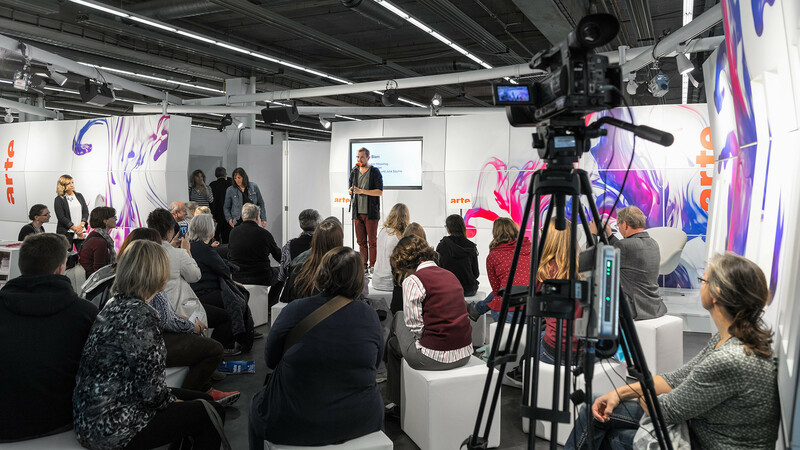 For the European cultural channel and long-term creative partner the designers create the appropriate stage, which is used during the book fair with a public appeal for wake-up slams, author talks and film premieres.